This article is about the United States Navy rate. For the Canadian military rank, see Petty officer, 1st class. Petty officer, first class is the sixth enlisted rank in the United States Navy, effective September 29, 2016, however not in the United States Coast Guard, just above petty officer, second class and below that of chief petty officer. A non-commissioned officer rate, petty officer, first class is also the sixth enlisted rate in the United States Naval Sea Cadet Corps. 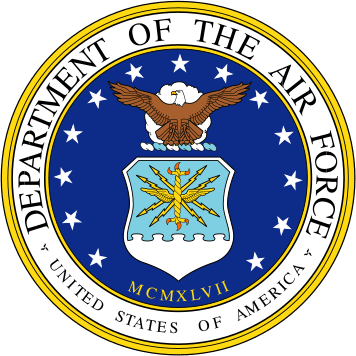 In the United States Navy, each rating was officially abbreviation, such as ET for electronics technician, STS for sonar technician submarines, or FT for fire control technician. The Navy now utilizes the Navy Occupational Special system and disestablished the combined rating and rank that gave the shorthand for the petty officer's rank, such as ET1 for electronics technician, first class. It is common practice to refer to the petty officer by this shorthand in all but the most formal correspondence (such as printing and inscription on awards). Often, the petty officer is just referred to by the shorthand designation, without using the surname. Thus ET1 Jones would just be called "ET1". A first-class petty officer may be generically referred to as PO1 when the sailor's rating is not known, although some prefer to be called simply "Petty Officer (last name)". To address a petty officer, one would say, "Petty Officer Smith", "Smith", or "Sailor" (the latter two forms being acceptable for use by those equal or greater in rank than the petty officer). 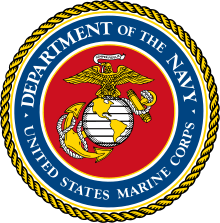 It is uncommon to address a petty officer as simply, "Petty Officer" the way one might address an NCO in the Marine Corps as "Sergeant". Also acceptable, but archaic, would be to address a petty officer or chief petty officer of any grade as "Mister Smith" or "Ms. Smith". The use of "Ms." or "Mister" is commonly only in reference to junior commissioned officers or warrant officers. Completed a period of time-in-rate (three years time-in-rate as a second-class petty officer, or two years if the second-class petty officer received a promotion recommendation of "early promote" (EP) on their latest periodic performance evaluation and the second-class petty officer's commanding officer authorizes a one-year time-in-rate waiver). 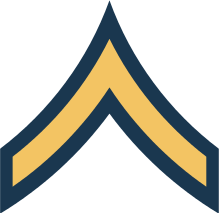 Recommended for advancement by the commanding officer. Have an established performance mark average. No pending request for voluntary transfer to the fleet reserve. The 100th eligible ET2 received a 219.5 final multiple score, therefore 219.5 is the lowest possible final multiple allowed to advance to ET1. The Navy's current high year tenure policy imposes a maximum enlistment of 20 years (total active service) to a petty officer first class. If a petty officer first class is not selected to the paygrade of chief petty officer within those 20 years, the petty officer is honorably retired from active service in the United States Navy, and placed in Fleet Reserve (inactive service) for a period of ten years. Should there be no recall of the sailor to active duty due to war or national emergency, the sailor will then transition to a "retired" status after a combined total of 30 years of service. 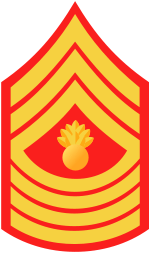 The rate insignia for a petty officer, first class is a perched eagle above three chevrons. On more formal uniforms (dress white and dress blue uniform), the symbol for the petty officer's rating will be placed between the eagle and the chevrons. On white uniforms, the eagle, rating, and chevrons are dark blue (almost black- this has led to the eagle being referred to as the "crow" in common practice, and often the entire rating badge is simply referred to as the crow). 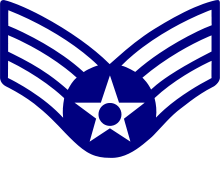 On navy blue (black) uniforms, the eagle and rating are white, and the chevrons are red, unless the sailor has served in the Navy for 12 years or more with good conduct- then that sailor wears gold chevrons on the dress blue uniform. 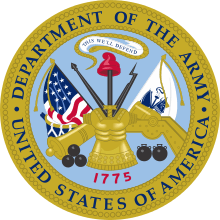 Gold chevrons are also worn on the collars of the Navy blue coveralls uniform, and on the black garrison cap (only) worn with the Navy service working uniform (often called "peanut butters" or "black and tans"). The Coast Guard does not use golden chevrons. 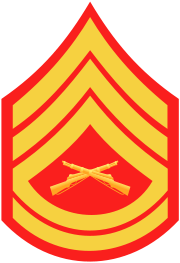 Working uniforms (all variations of the camouflage uniform) and metal rank devices do not have the rating badge symbol. First class petty officers normally serve as a leading petty officer of a division, and direct the activities of a division. There are situations when there are more than one first class petty officers in a division, due to the demands for highly experienced or skilled Sailors in technical areas. Leading petty officer experience for a first-class petty officer is not officially required for advancement to chief petty officer (E7); however, it is generally accepted that at least one documented tour as an LPO (preferably at sea) is a vital step for advancement. First-class petty officers often form associations at their commands. Membership in these associations are voluntary. On larger ships and some shore commands, PO1s may have their own mess, although unlike the CPO mess and wardroom mess, which have their own galleys and cooks, the first class "mess" is merely a separate compartment for eating meals from the general crew mess. Petty officers (E4-E6) serve a dual role as both technical experts and as leaders. Unlike the sailors below them, there is no such thing as an "undesignated petty officer." Every petty officer has both a rate (rank) and rating (job, similar to a Military Occupation Specialty (MOS) in other services). A petty officer's full title is a combination of the two. Thus, a petty officer, first class, who has the rating of electronics technician would properly be called an electronics technician petty officer, first class, or ET1. The term "petty officer" is typically only used in the general sense when referring to a group of petty officers of different ratings, when the petty officer's rating is unknown, or when someone who is E-3 or below addresses a petty officer while in basic training or "A" school.